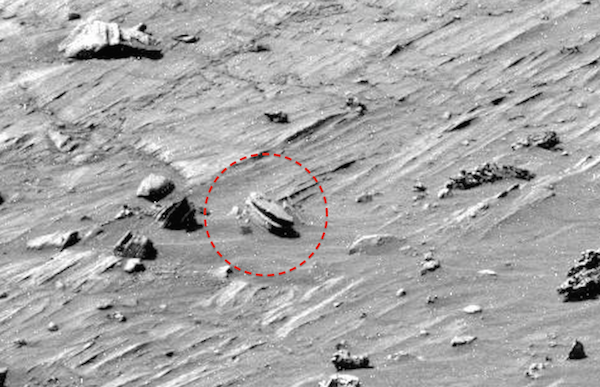 UFO SIGHTINGS DAILY: Oval building on Mars With Tinted Windows, NASA Spirit Rover Photos, UFO Sighting News July 4, 2011. 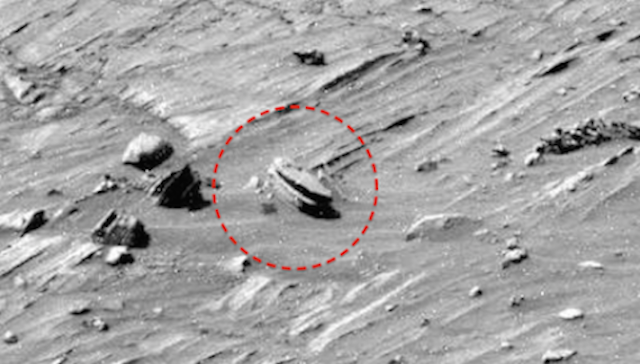 Oval building on Mars With Tinted Windows, NASA Spirit Rover Photos, UFO Sighting News July 4, 2011. 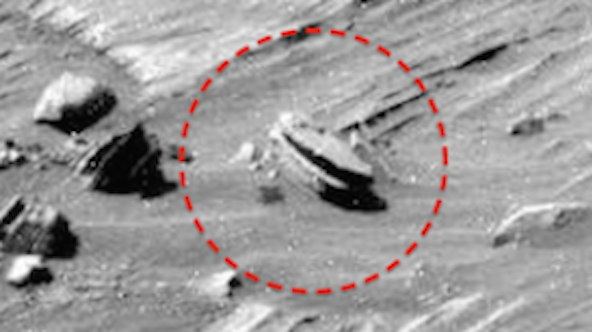 While looking at the Mars Spirit Rover photo called Panoramic Camera, Sol 1172, I noticed what looked like a oval shaped building. The thing that stood out the most was that it seems to have a dark tinted window all the way around the building. The window seems to be once piece. Some people will say its a rock. 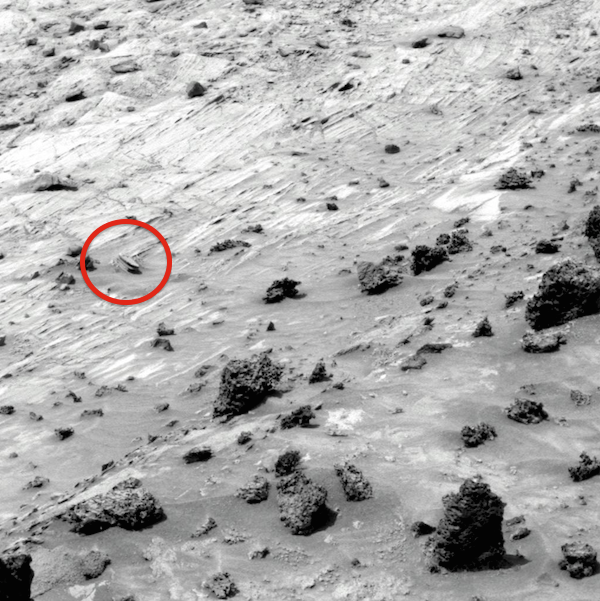 Look carefully and you will notice there are not rocks anywhere that look similar to this, thus...its not a rock. Also look to the left of the oval building and you will see another building that is black, yet has three black triangles side by side, so close it looks like a single building. Don't take my word for it, look at the NASA photo below at the NASA site and see it for yourself.